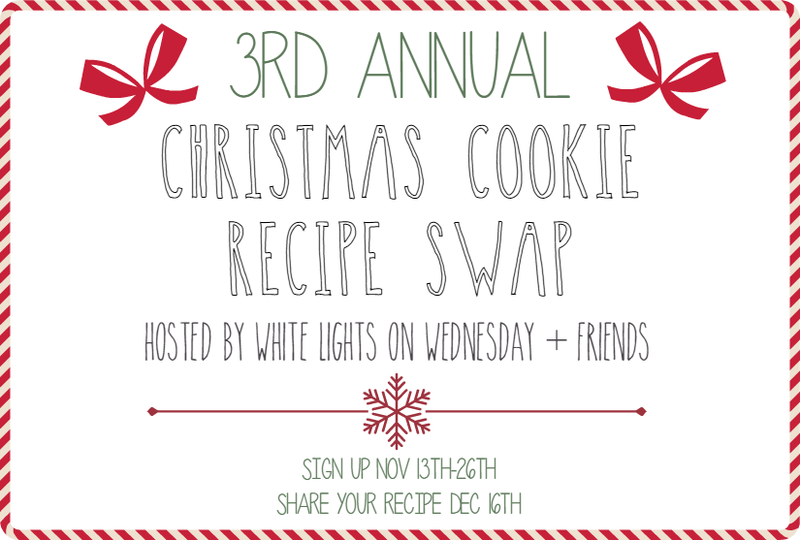 In this swap I was paired up with another blogger, Wendy from A day in the life on the Farm We each chose one of our favorite cookie recipes from our blogs and swapped recipes. I sent Wendy my White Chocolate Coconut Toffee Cookies You can click on the name of Wendy's blog up above and it will take you to her version of my cookies. The cookie Wendy picked for me is a Pumpkin Spice Blossom that she created. It sure is delicious! I was not able to find the Pumpkin Swirl Kisses so I went on Amazon and ordered them, however after tasting this babies they would be just fine with out the kiss. 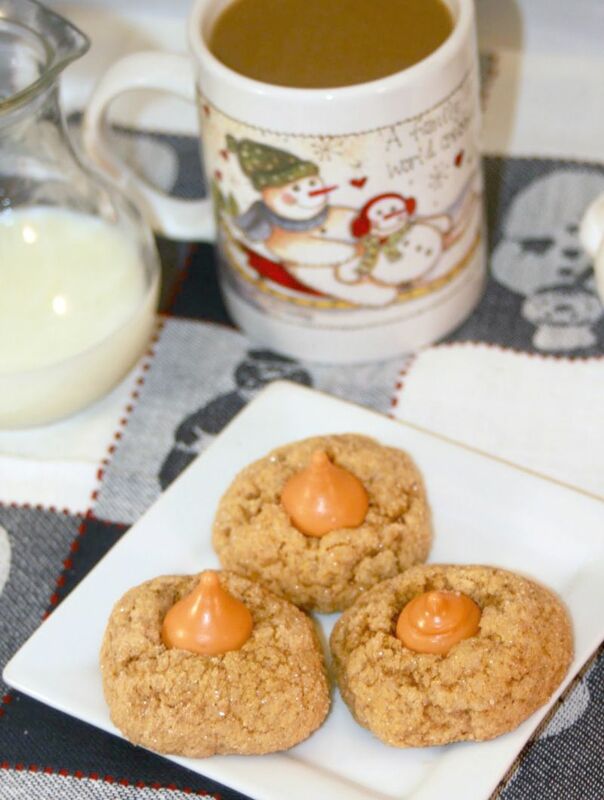 The cookies take like pumpkin bread rolled in cinnamon sugar. I think they would even be good to just top with a pecan half after taking them out of the oven! Place all ingredients, except kisses, in the large bowl of a stand mixer affixed with the paddle attachment. Beat on low speed until combined. Beat on med. speed until well blended. Using a small cookie scoop or a rounded teaspoon, measure out the dough and roll into a ball. Roll the ball in cinnamon sugar (I used 1 c. sugar to 1 t. cinnamon) and place on a parchment lined baking sheet. Bake in a preheated oven at 375* for 10 minutes. Remove from oven and top immediately with a kiss. Allow to cool and kiss to firm before removing to serving platter. I am so glad you like the cookies Nina and I hope you are feeling better soon. Oh fun! 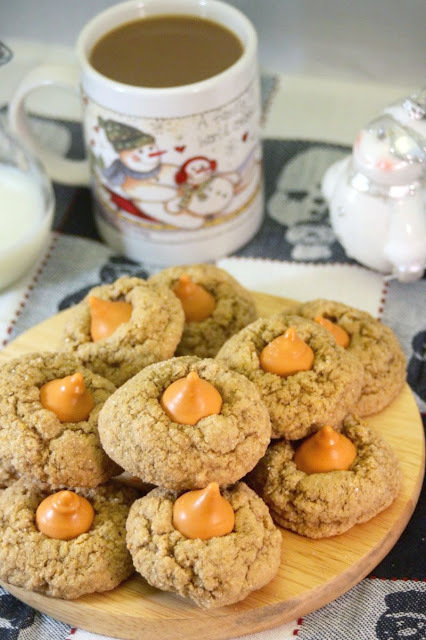 These would even work in the fall, too, since I'm in the mood for pumpkin spice in September! These look great! Love the pumpkin touch, Nina!